shauna niequist is one of those people you would love to be like. one of those people who makes you feel at home the first time you meet her. the first time i met shauna, who is an old friend of my husband’s, we were visiting chicago and went to her church (where her dad is the pastor and her husband is the music pastor) on sunday morning. after the service, she gave us a tour, which included her father’s office (which feels like walking into a gorgeous, wood-paneled boat – he is a sailing enthusiast) and then going downstairs to pick up her oldest son, henry, from sunday school. after rounding everyone up, we headed back to their house for lunch. this threw me off a little. whenever we are traveling and meet up with friends, we often go out to eat. well, we always go out to eat. but to have someone prepare us a meal – most likely the night before or early in the morning before church – was such a refreshing surprise. one of my greatest passions is feeding people, making them feel at rest, bellies full and comfortable in my home. i resonated with the way we were being cared for by these friends. i took mental notes all afternoon, wanting to remember how she and her family made me feel. i would soon learn how similar our hearts were when it came to entertaining. this resonated with me because this is my heart as well. those i love and care for gathered around my table, enjoying good food and, as my grammy would say,”scintillating conversation”. another thing that resonated with me was that she, too, was the weird kid growing up. we both had moms who were not afraid to make us look strange by sending us to school with lunches that consisted of carrot sticks, pita chips, and sandwiches made with whole grain bread and organic, cage-free chicken. i longed for doritos and sour patch kids and a capri sun in my lunch bag. and OH, to have a lunchable packed in there, or easy cheese with lovely, white, processed club crackers! i love this. and i love the way she has with words. she has an incredible gift for the written word, and when she writes about food, it’s almost as good as tasting it. i have loved reading through bread & wine. it has a delicious quality to it, like a just-out-of-the-oven, melty chocolate chip cookie. you savor each bite while it is in your mouth, and even after you swallow it, it lingers. you feel a peaceful and content joy. a love for food all over again. with books like this, i never want them to end so i tend to slow down halfway through, not wanting to get to the end. but this one i have flown through, knowing that once i reached the end i will read it again. 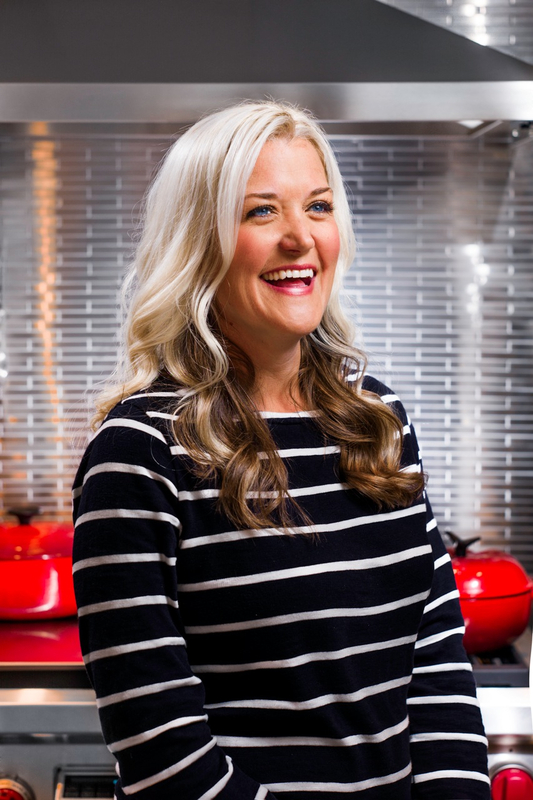 it will be one of those books that i pick up often, reading a chapter or two here and there, allowing shauna’s words to re-inspire me and remind me how much i love food and the importance of sharing it with those around me. 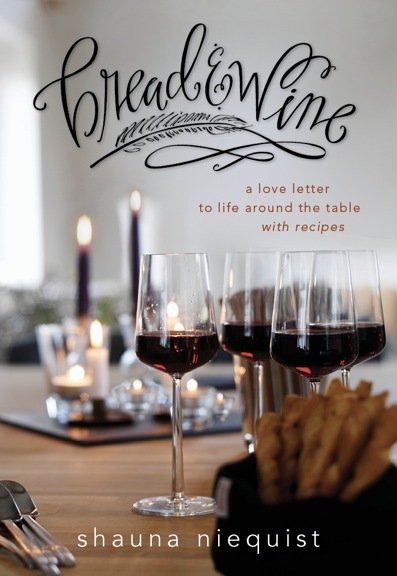 i am super excited to be giving away a copy of the newly published bread & wine: a love letter to life around the table, with recipes by shauna niequist to one of you! to enter, please leave a comment below and i will announce the winner (who will be chosen randomly) the week of april 22nd. to purchase shauna’s book, click here. to check out her blog, click here. also, check out her other two books, cold tangerines and bittersweet.